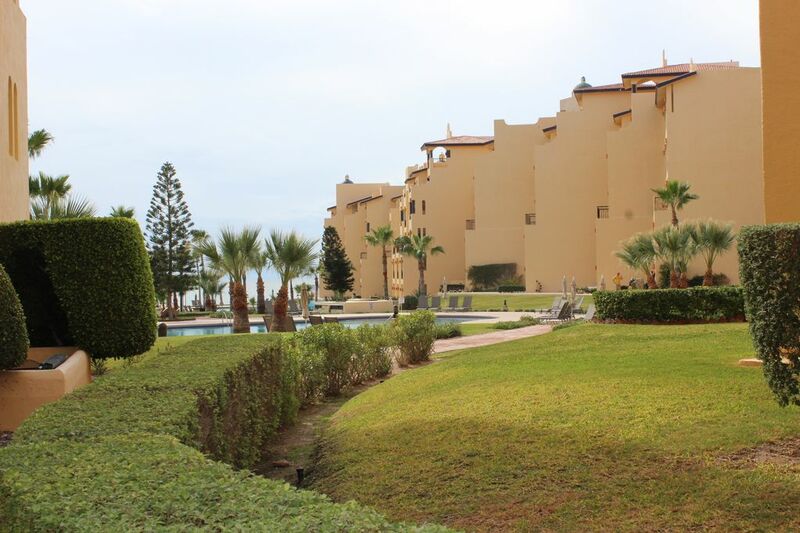 When you are at Princesa de Peñasco you will not have to worry about anything but having fun. You have plenty of opportunity to do it. We have 3 pools (one of which is heated during the cold months Nov-Feb). We have BBQ areas near the pool so that you can have a great cook out and make it a day with the family, there is a convenience store to buy the essentials you might have forgotten. Bring your family to this ocean front resort and miss nothing. The unit is beautiful; coming in you will find the fully equipped kitchen. We have furnished the kitchen with the most useful appliances that you might need. The cabinets are painted white and the counter top is the perfect place to have breakfast or a family conversation we have placed 2 bar stools where you can sit. Then move on to the dining room which is a rectangle wood table and 6 wood chairs that are cushioned in beige. The family room has a beautiful sofa set with southwestern pattern cushions; the larger sofa turns into a bed where 2 people can sleep. There is a TV, VCR and DVD player; there is also a CD player. The master bedroom has a king size bed, with gorgeous wood carvings on the back and a dresser and side tables to compliment the set. This bedroom has its own bathroom with a bathtub. The second bedroom has a queen size bed which looks like the bed in the master bedroom. This bedroom shares the bathroom at the hall. The sliding doors take you to the outside; the terrace has a fantastic view. You can sit in the patio dining set with glass top table and 4 chairs to rest and have a drink in the afternoon or coffee in the morning. The views from this unit are amazing. You have the view of the resort, all the green and colors contrast perfectly with the blue of the ocean and the bright orange of the sunset! This spectacular view you only get here on the Sea Of Cortez, and to see it from a Princesa Condominium C 202, is a privilege. And you deserve it! !